Mubychem Group, established in 1976, is the pioneer manufacturer of Potassium Phthalimide, Pharmaceutical, Fragrance & Flavor chemicals in India. Mubychem Group has several manufacturing facilities spread across Gujarat and Mumbai India and world wide contacts and toll manufacturers. We are exporting globally to countries like USA, Europe, UAE, South Africa, Tanzania, Kenya, Egypt, Nigeria, Uganda, Turkey, Mexico, Brazil, Chile, Argentina, Dubai, Indonesia etc. Potassium phthalimide is a chemical compound of formula C8H4KNO2. It is commercially available, and usually presents as fluffy greenish yellow crystals. It is the potassium salt of phthalimide. If desired, it may be prepared by adding a hot solution of phthalimide to a solution of potassium hydroxide; the desired product precipitates. 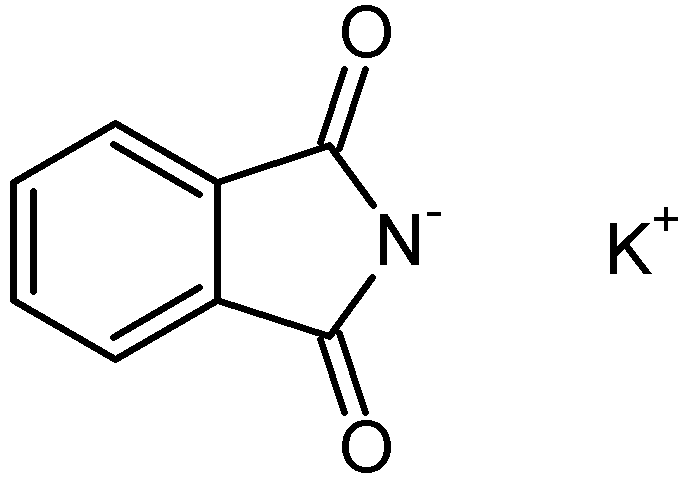 This compound is a reagent used in the Gabriel synthesis of amines. Synonyms: 1,3-Dihydro-1,3-dioxoisoindolepotassium salt; Phthalimide potassium salt; Phthlimide; Phthalimidopotassium; Potasium phthalimide; Phthalimide potassiu; n-potassiophthalimide; Phthalimidylpotassium; 1H-Isoindole-1,3(2H)-dione, potassium salt (1:1) 1,3-Dihydro-1,3-dioxoisoindole potassium salt; Potassium phthalimide. We offer quality product potassium phthalimide which is used as an intermediate for the bulk drugs and others products. Material of improved specifications and 99.5% assay is also offered.